“The Terra Debacle: Prisoners at Area 51” Release! I’m happy to report that my latest novel has finally been released! If you’re a fan of UFOs, Area 51, or have read Beyond the Hidden Sky and/or A Dark of Endless Days, volumes I and II, respectively, of the Star Trails Tetralogy, you’ll enjoy this one. Writing this story, which is a spin-off from the Star Trails Tetralogy, was quite a trip. Every time I thought it was done, I’d realize there was something missing. Usually that entailed more research, which took more time than the actual writing. Nonetheless, it was an adventure and fun, especially getting to know a new character, Gabe Greenley, after spending so much time with the Brightstar clan. More information, including the promotional video, are on the Star Trails Tetralogy website. I’m grateful to the author/bloggers who have given me of their time and talents in both reading, offering feedback, and ultimately reviewing the story, particularly Stephen Geez of Fresh Ink Group, who did a tremendous job editing, both the book and the video. You can read the blogs as well as some excerpts and find buy links to several online retailers below. A button to add the story to your Goodreads TBR list is there as well. Remember reviews are always welcome and the best way to thank an author if you enjoy their work. Scary how often this happens these days. Your astronomy lesson for the day! I’m not a big zombie fan in that I’ve never been drawn to shows like “The Walking Dead” and so forth. I’m prone to look upon zombies and vampires as analogies. To me, zombies represent those around us who simply go from day to day in a daze, missing what’s really going on around them, lacking joy and enthusiasm, and trashing those around them who have a life. Vampires are even more obvious, being the bloodsuckers that expect others to take care of them emotionally or financially. Since I’m not amused or entertained by such individuals, I’m likewise not usually attracted to such stories. However, as a writer myself I enjoy a well-crafted story, regardless of genre. I especially enjoy award winning author, Elle Klass’, tales because they’re populated with well-developed, intelligent, gutsy, and engaging characters while her plots are original and full of surprises. Thus, for her books I’ll always make an exception. I’ve thoroughly enjoyed her “Bloodseeker” stories and now Zombie Girl because they’re well-written with lots of action involving memorable, believable characters as well as surprising and often intricate plot twists. 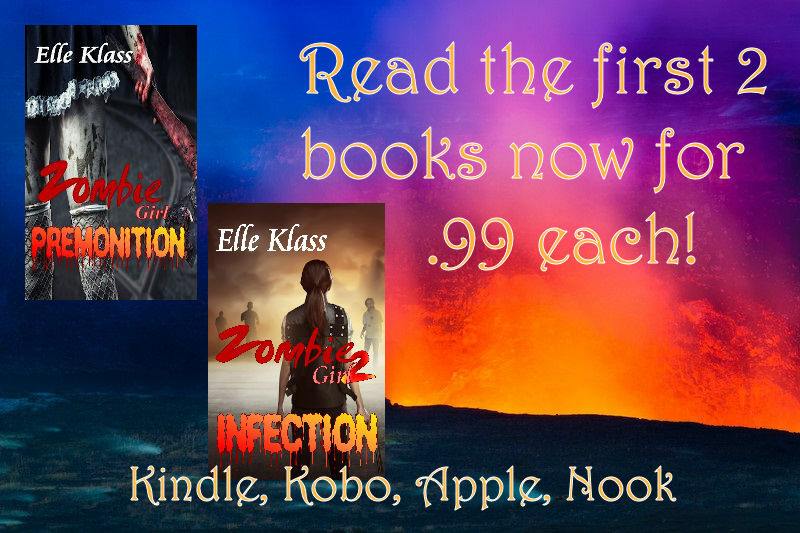 A dose of Elle’s creative genius is the ultimate prescription to escape the figurative zombies and vampires in your own life. I recently finished “Premonition” where the heroine, Maddie, is in trouble with her parents because she’s flunking science. Pressured to improve her grade, she reluctantly agrees to study more diligently. That night she experiences a vivid dream in which her parents have turned into zombies, so she flees her home. 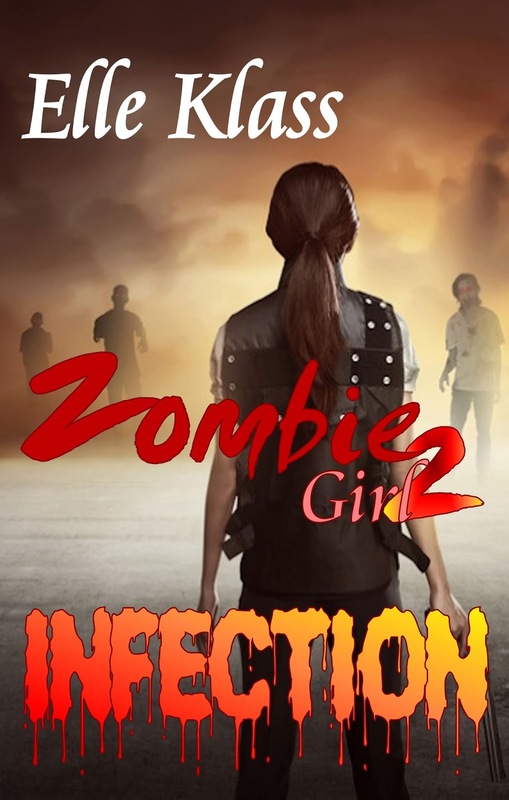 She meets a boy named Bryce, the two of them battling zombies, trying to survive. When she wakes up to a normal Saturday morning, she realizes it was only a dream, yet remains troubled. Not only was the dream itself far too real, a physical object Bryce gave her in the dream is still in her possession. Huh? How could it be? This physical evidence tells her for certain it was more than a dream–it was a warning. Nonetheless, months pass, and everything seems normal. Until another vestige from the dream becomes reality. Elle knows how to build nail-biting suspense and “Premonition” is no exception. The story is relatively short, but sets the stage for what you know is going to be an exciting adventure with a generous sprinkling of dark humor. Fortunately, the sequel, “Infection,” is coming soon. Preorder now so you don’t miss it when it comes out in July! Pick up your copy of “Premonition” here.